That’s how often a dog bite occurs in the United States, according to the Centers for Disease Control and Prevention (CDC). And every day, over one thousand victims require emergency medical care as a result of those attacks. When it comes to dog bites, Ohio is a statutory strict liability state. This means that the owner, harborer or keeper of a dog is responsible for the injuries that dog causes, whether or not they knew in advance that the dog was dangerous. As long as the victim can prove they were not trespassing, teasing, tormenting or abusing the dog, they could very likely recover compensation if they filed a claim. If you or a loved one have been a victim of a dog attack, you have the right to file a claim. 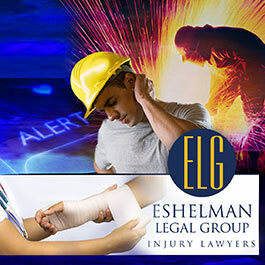 Contact the dog bite attorneys at the Eshelman Legal Group for a FREE consultation. Obtain the name of the owner and the offending dog. Collect the names and numbers of witnesses. Record the location of the incident (take photos, if possible). See a doctor and ensure they keep all evidence of your injury. Then contact our dog bite attorneys for a free consultation. 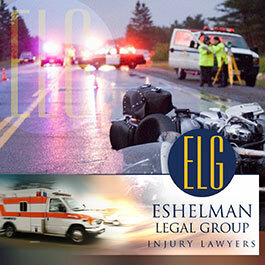 If we determine you have a case, our experienced, professional staff will take it from there. And remember, our dog bite attorneys don’t get paid until you do. So don’t let monetary concerns stop you from getting the compensation you deserve as quickly and efficiently as possible.